When metronomic deadpan doesn’t work as a vocal style, a record can be prone to sounding more like your operating system than a carefully considered piece of art. “Alexa, can you turn off your background noise?” for example. “I’m sorry, even I don’t understand this,” and so on and so forth. For each part that ‘Ecstatic Arrow’ is self-possessed and monotonous, it also runs with the energy and freedom of Frank Zappa or Lonnie Holley; musically magnanimous and lyrically altruistic. The ambient tug of last year’s release has been replaced with the Krautrock aesthetic of Stereolab, raised on a careful diet of leftfield jazz and the New Romantics. The result is one of the year’s most original and exciting records. ‘Ecstatic Arrow’ is defiantly the Manchester-based duo’s most sentient and direct album to date. 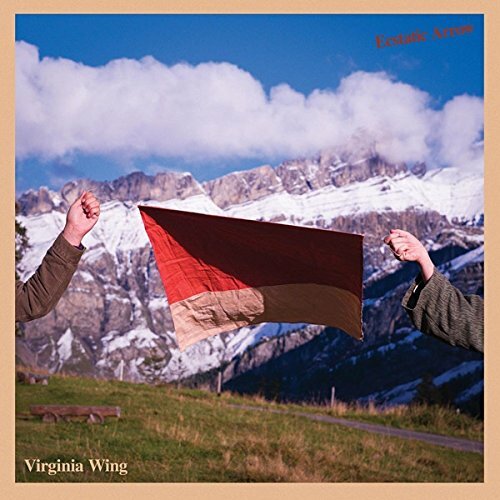 But while the hypothetical Siri launches its lawsuit against its avant-garde alter-ego in Virginia Wing’s third album, you are hit by the innate humanity within what appears, at face value, to be musical superficiality. The introductory twangs of ‘Be Released’ recall Holger Czukay’s ‘Persian Love’ as much as they sound like someone’s performed a system update on the Human League: less repetitive but with all the new wave and experimental punch. Even the brilliantly titled ‘Every Window Has A Curtain’ – one half bizarrely proverbial, the other amusingly profound – cuts with the same musical candor. After the admission that there’s an ocean of meaning to define, Richards asks, “did the day invade the night or did the night invade the day? That’s yours to explore.” There are no answers in ‘Ecstatic Arrow’, just a huge, open space in which you’re invited to work them out.